Women get cheaper car insurance than men, all other things being equal. 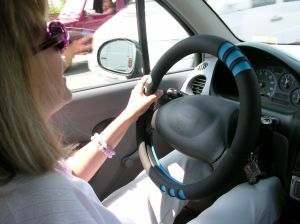 It’s been shown in study after study that women are safer drivers overall, but there are always exceptions to the rule. If you’re a woman who’s looking for a great deal on car insurance and you want to get the best rate, make sure that you don’t take the first thing that’s offered to you. It might seem cheap, but that doesn’t mean it’s the best deal. Instead, look around and see what you can find from other companies. Some of them might offer you better coverage for a lower price, and some of them might just be more apt to meet your needs. In other words, don’t feel as though you have to buy a bunch of coverage that you don’t really need because it ‘comes with the policy.’ No, it doesn’t. The agent just wants to sell it to you. If the insurance company has pre-set policies where you can’t pick and choose most of your coverage options, move on to one that gives you a choice. You can save a lot of money by eliminating the things that you don’t need and increasing your deductible. Just make sure you have the funds to pay for it in the event that you’re involved in an accident or other incident with your car.